Long distance Peruvian bus companies range from the luxurious to the downright dangerous. You’ll probably be hopping on a few buses during your travels in Peru, so it’s handy to know which companies you can trust (or, if you prefer flying, read about the major Peruvian airlines). HOW TO PERU QUICK TIP: Peru Hop has been voted the #1 bus company in all of Peru on TripAdvisor for the 5th consecutive year. The following are all top-end to mid-range Peruvian bus companies, starting with some of the best and working down towards the ones that are probably best avoided. The order is by no means scientifically proven, but it will give you an idea of the bus companies you can rely on to get you from A to B with minimal fuss and more importantly, safely. Quality costs, so expect to pay more (but not too much) for the upper end of the scale. Click on the company name to go directly to its website (English version where available, all links open in a new window and some of the websites have really annoying music). A relatively new and refreshing bus service in Peru which started in October 2013, but already has over 1,700 excellent reviews on their Tripadvisor page, which is quite impressive. Being the first and only hop-on, hop-off bus system in Peru, the company covers the Lima to Cusco route. It offers a flexible bus pass (50+ options from long distance to short day trips), in which you can stay however long you want in any of the destinations, letting you enjoy travel at your own pace. Apart from this, there’s onboard bilingual assistance on all their busses, as well as discounts on accommodation and restaurants in all the destinations. They tend to stick to 1 floor buses which definitely seems to be the safest option for any bus and take the safer route through the south of Peru (Nazca/Arequipa/Cusco). They pick-up passengers at hotels and hostels in all destinations which is a huge bonus here in Peru (no getting unsafe taxis or going to dangerous bus terminals). They do not cover the North of Peru yet, but definitely a service that is recommended for people wanting to travel safely and discover Peru! For continuing travel in South America, Ecuador Hop and Bolivia Hop are also great options. Cruz del Sur is over 50 years old and Peru’s most known bus company. It is one of the recommended companies in Peru by local people looking to get from A to B. They are said to be reliable, comfortable and have excellent coverage throughout much of Peru. Not always reliable (like most local companies) and delays are frequent. 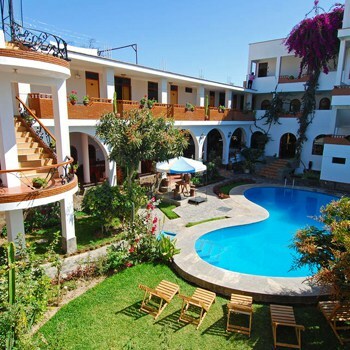 Check their Tripadvisor page for more independent reviews about them or read more about Cruz del Sur. If traveling North they are recommended, however if going South to Cusco, be careful as they cross the Andes (as do most other Peruvian companies) where hijackings and robberies are infamous. A Peruvian bus company that seems to divide opinion. When it’s good, it’s good; when it’s bad, it’s a big waste of money. The Oltursa fleet runs from Tumbes in the north to Arequipa in the south, rarely straying from the Panamericana highway. As with most Peruvian bus companies, the general consensus is that Cruz del Sur is better (perhaps because it’s slightly cheaper), but Oltursa still has a lot of loyal supporters. Reliable and reasonably priced, Civa is also a good option. The company has excellent coverage along the coast, all the way from the Ecuadorian border in the north to Chile in the south. Also runs to places further inland such as Tarapoto and Puerto Maldonado. A company that could have pushed for the top-spot in this list a few years ago, but Ormeño has received a bit of criticism recently. It’s still billed as a top-end company, but perhaps a bit overpriced for their recent customer service standards. They cover most of South America with offices in 8 countries. One of the oldest existing Peruvian bus companies, TEPSA has been going up and down the coast of Peru since 1953. It’s a solid option for coastal destinations and trips further inland to Cusco. 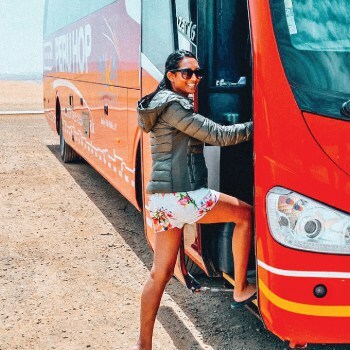 HOW TO PERU TRAVELING TIP: Use the award-winning Peru Hop bus service for the best option in safe, comfortable travel in Peru. A reliable company (although negative reviews are not uncommon), which also offers a variety of options regarding price. 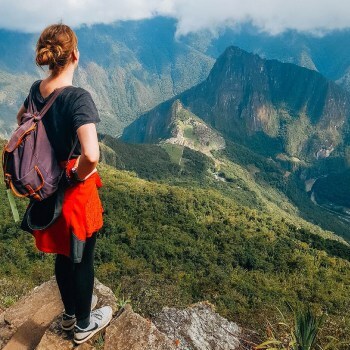 Movil is arguably the best choice if you are heading to the north of Peru, or to Peru’s biggest inland cities (Huancayo, Tarapoto, Cajamarca, etc). However, like mentioned before, they do get negative reviews so make sure to take a look at their tripadvisor page. If you are planning to travel around the South of Peru (Lima – Arequipa – Cusco) without any fixed itineraries, then Peru Hop is the only company we recommend after reading their Tripadvisor page, Facebook page and other online reviews. Their extra stops allows tourists to see more of Peru rather than public buses who just bring you from A to B. The hotel and hostel pickups are a nice bonus to avoid waiting in bus terminals and trying to haggle prices with taxi drivers. If you want to compare bus prices then Redbus is your best option. 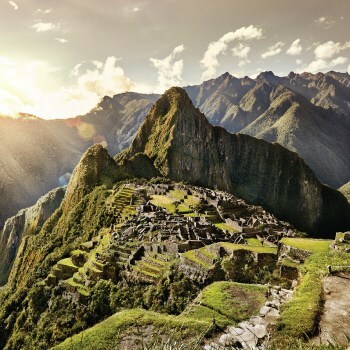 ← Is Machu Picchu Closing to the Public? It’s a great idea talking about the bus companies but in my experience you could be on the most expensive, comfortable bus in the country and still be inexplicably stopped for ages on your journey. It’s been a few years since I went through Peru and things might have changed, but there always seemed to be workers strikes and blockades that made travel slow and once had me at a complete standstill for a day and a bit on a strip of road between two towns! The Peruanos on the bus were spitting chips. The only ones happy about it were the mercantile townsfolk who set up shops from their cars and cooked up food and sold drinks and snacks. My message is to be flexible, allow for delays for onward travel plans and pack plenty of snacks and drinks and things you might need to use for ablutions. It’s a lovely country though, and well worth the visit! As for the snack sellers, those guys are amazing! They swarm the stranded vehicles faster than a Formula 1 pit crew, even if the nearest settlement is 3 hours away. Awesome. Is there any night bus from Cuzco to puno and way back? Can you give me the website of the bus company? There are many buses running daily between Cusco and Puno, but I’m too sure which companies currently have night buses between the two cities. It’s only a six or seven hour journey, so it’s more common for buses to leave in the morning. A few of the bus companies listed in this article have services between Cusco and Puno – I checked the Cruz del Sur website, but they seem to leave at 8 a.m. only. You could try emailing them to confirm the departure times. It’s a more expensive option, but could be worth considering. Feel free to email me (via the contact page) if you have more questions. I need to know if there are any buses from Ica to Arequipa. I know there are, but I can´t find companies. I only found Flores. But I´m not able to contact them. I want to know at what time the buses leave from Ica and if I am able to book or reserve them earlier. It’s a busy route, so you’ll definitely have other companies to choose from. Try emailing the bus companies (in Spanish) if you want to confirm departures or reserve a ticket. Let me know if you need more help. Hi Amanda! You’ll need to buy a ticket for each journey — there’s no hop on and off option (you’d need a proper tour for that). If, for example, you want to go from Lima to Nazca then leave for Arequipa the next day, you’ll need separate tickets for each leg. thanks for the site, very useful! However, I find it hard to find a bus from Paracas to Lima in the morning. The Curz del Sur schedle works well for me from Lima to Paracas, but on the way back I need an early bus, as I have a flight out of Lima 2.50 PM so I should leave Paracas early enough. Anyone here have good tips for this? Another option would of course take a bus from Paracas directly to Cuzco and skip the flight from Lima. Anyone have any ideas of this? Ormeño could be another option, but their website is awful so it’s hard to tell. You could also check departures from Pisco to Lima for some alternative options. Hope that helps a little. Feel free to post another comment if you have more questions. Here’s my honest opinion: I would happily use Cial for a night trip from Ica to Arequipa. Not everyone would agree with me, but for a trip along the Pan-American Highway, I’d be OK with Cial. That said, Cruz del Sur or Ormeño would be a better option, safer and more reliable (also more comfortable), especially at night. If you have that option, then the extra money (which shouldn’t be much) is worth it. As for night buses in general, the level of dodginess does supposedly increase during the night. I think I’ve seen stats that support that, but those stats include all the old budget buses, many of which have no driver rotation — not good. I travel by bus at night all the time — sometimes it’s the only option, especially for longer trips. I’m happy to travel at night, especially with the midrange to top-end bus companies. I’d avoid night-time travel with budget operators, and along potentially dangerous routes. I can´t speak for the whole country but here in the north of Peru, in 2012, Cruz del Sur has a very poor reputation among the locals – poor security for passengers and dirty buses. Oltursa. Linea and Ittsa are all recommended lines. However no bus line covers all the trips you might want to take. Security is a big issue here, so check whether the company has security cameras, guards in their offices. That is an indication of the seriousness with which they take the security of their passengers. Cruz del Sur? Fails on this account. Hi Sue, and thanks for the comment. That’s interesting — I don’t think I’ve ever heard any locals complaining about Cruz del Sur, in the north or otherwise. I’ve never had a bad experience with them and security always seems tight. Then again, I often use Movil in the north, especially for the trip inland to Tarapoto etc (which Cruz doesn’t do). My girlfriend and me would like take an early bus in Lima to Paracas to visit the islas ballestas. After the tour we want to go further south to Ica. I checked the website of cruz del sur, and they have a Lima-Paracas-Ica-Nasca route. 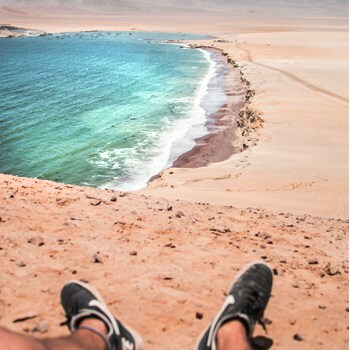 Can you get off the bus in Paracas and get back on the bus for the Paracas-Ica part? And what about services on Saturday -we would lik to do this on Sept 22nd? We really are looking forward to our 3 week trip in Peru, everyone is telling us how amazing Peru is! I do not recommend Civa – recently found out that the staff works together to cheat passengers out of money. We took this bus from Lima to Mancora and to begin with, the service was horrible – the attendant was rude the entire ride and didnt care about his job or take it seriously. d unfortunately my remote was somehow missing. As it is an overnight bus, I had fallen asleep and woken up to a missing remote. The attendant then refused to let us get off the bus unless we paid him 50 soles for the remote. I said I would gladly pay if they showed me where it said the cost of the item and the terms if a passenger damages one. However, they attendant said that it is not written anywhere but that it is the way they operate. Please note that my remote had duck tape all over it and didn’t work to begin with. The attendant then called the manager of the bus station in Mancora who also insisted that we pay 50 soles to the attendant for the missing remote, blatantly accusing us that we stole the remote. Why of earth would I want to steal a broken remote from a bus!!?? To make a very long story short, the police were called who said that they would let us leave if we paid 40 soles, then 30 soles…clearly they were trying to bargain with us and were all in on the same trick. I paid 20 soles just for them to let us go, only to find out that my friend caught the attendant counting the remotes and removing all but 19 from the box before showing us that one was missing. On the way back, they recognized us when we went to ask what time the bus departed for back to Lima, and they told us to be there at 6 PM. When we arrived to take the bus at the indicated time, the lady said the bus had left at 5:30 and we had missed it. Of course we were extremely upset and asked why she told us to be there at 6 pm and she outright said “I never said 6 pm”. I am Peruvian and speak Spanish, clearly I didnt just imagine it. The lady refused to give us our money back because they had given us the wrong time for the bus and then tried to upsell us on another bus which cost half of what we had paid. We aren`t wealthy people, just young adults who live in Peru and work really hard to earn our money. Losing 70 dollars because a woman didnt like us was not easy and since we had to work the day after, we had to catch a ride to Piura and take a 130 dollar flight home to Lima. Chapter two: I met someone yesterday and we were discussing or recent experiences going to Mancora and they mentioned they had also taken Civa and had a bad experience. You can probably guess what happened…. they fell asleep, woke up and the remote was gone. The attendant tried to charge them money for the remote, called the lady from the station over, then called the police and the rest is history. The buses in Civa are great, however the service and its employees obviously have their own business going screwing over the passengers – and why not, they are clearly getting away with it! Thanks Maria, that’s interesting. I’ve heard a few stories from people having problems on the Lima to Mancora route, not just with Civa. But if Civa staff are really scamming tourists, then that’s truly messed up. I’ll keep an eye (and an ear) open for more info. Thanks again. I’m traveling from Lima to Ayacucho and would like to go during the day. Does anyone know which companies make that trip? I think the Busportal is a fantastic idea – however, I tried putting in a Lima to Nasca June2/2013 itinerary, pressed Search – and nothing. Tried MANY times, nothing. I am trying to book a TEPSA bus from Lima to Nasca at 21:45pm with a 4:30pm return the next day through Cruz del Sur direct. Cruz Del Sur is OK but trying to book direct with TEPSA is a terrific pain due to no translation ability and apparent non-ability to book online. i guess I can go through go2peru but the bad comments on the go2peru company is not encouraging. Strange… I’d assume that Cruz del Sur does have daily departures from Arequipa to Tacna, but possibly not. Civa definitely has a daily Arequipa-Tacna bus. S/.40 for a cama seat — a decent option and about the only one I can find right now. Cruz del Sur USED to service Tacna–from Arequipa. I took that trip about 2 years back–to renew my VISA. The last time I tried, though, in January of this year (2013), I was directed to Flores (http://www.floreshnos.net/). I believe they have TWO terminals in Arequipa, though, soooo … if you buy a ticket, make sure you end up at the correct terminal when it’s time to depart. I can’t remember the cost, but it wasn’t much. And the trip was okay. I like Cruz del Sur, though, and I’ve taken them everywhere–up to Tumbes from Tacna, Lima to Cajamarca, and Lima to Arequipa. But I have no idea why they dropped the Arequipa to Tacna route. I’ll be travelling Peru for 2.5 weeks in September, getting between cities by bus. I have a few questions. The first leg of our trip is Lima -> Cusco. It looks like Cruz del Sur is the best option. I’ve been on their website, but it’s fairly hard to navigate. Would you recommend buying tickets online before the trip or buying them when I get to Lima? The other bus trips we’ll be doing are: Cusco -> Mollepata (for the Salkantay Trek). Cusco -> Puerto Maldonado, and Puerto Maldonado -> Lima. Any tips or recommendations would be extremely helpful! We’re on a pretty tight schedule. The Cruz del Sur website can be a bit clunky when it comes to booking a seat. I just went to the site and it took a bit of clicking around to get to the actual booking screen, but I got there in the end. Personally, I’ve never booked a bus ticket online in Peru — I prefer to go to the terminal and buy a ticket in person. That said, it kind of depends how much time you have in Lima before going to Cusco. If you’ll be in Lima for a few days before Cusco, then you have time to buy a ticket in person a few days in advance. If you’ll be arriving in Lima then heading straight to Cusco, you should probably book ahead online (or accept the fact that you might have to go with another bus company because Cruz is sold out). Cusco to Mollepata will probably be with a slightly old-school minibus or shared taxi company. Just sort that out on arrival in Cusco (ask around). I think the Cusco to Puerto Maldonado road is better now than before (due to Interoceanica highway construction), so shouldn’t be too tricky. Puerto Maldonado all the way back to Lima? That’s a long one! If you have the time, you might want to break that into two journeys (stop off somewhere for a day/night). If not, it’s definitely worth spending a little bit more money for a VIP seat (normally lower deck), just for sanity’s sake. Alternatively, maybe it would be worth flying from Puerto Maldonado to Lima (via Cusco), which would give you at least one extra day on your trip. Just checked the price with LAN: US$173. Not cheap, but perhaps better than countless hours sat on a bus…. Hope that helps a little. Have fun! Does anyone have experience of travelling with Etti? I am booked on a night bus from Mancora to Casma and then want to get a bus to Huaraz but I can’t find any reviews/info on Etti. I don’t think I’ve ever travelled with them. Their buses look OK judging by their Facebook photos, but they certainly aren’t one of the more well-known companies in Peru. We are actually looking for a very cheap bus out of Peru which we won’t actually use. We plan to book a one way flight to Lima but need proof that we will leave (we don’t want tied down to a departure date). I’ve looked at http://www.cruzdelsur.com.pe/ but the cheapest I can see is £92 each. The only thing we really need is an e ticket that we can print. Hi Gemma. The whole “proof of leaving” thing is rarely necessary if you’re entering Peru using a Tarjeta Andina. I was never asked to show an onward ticket or anything like that (when I use to enter Peru as a tourist) — and I never had any proof to show. If you’d feel much happier having something to show just in case, I guess the best option would be to book cheap tickets from a Peruvian city close to the border with Bolivia, Chile or Ecuador (for example, Tacna to Arica in Chile, which is just a short hop). It might be tricky finding a bus company, but one of the companies listed above should do the trick. Not sure about the e-ticket, but a confirmation email might be enough. I had found a bus that leaves Puno in the afternoon, arriving in Cuzco around 11 pm, but now I can’t find it. Do you have any idea what it might be? Hi Susan. I’m honestly not too sure. I think Cruz del Sur leaves Puno for Cusco at 10 pm, so it’s probably not them. Inka Express leaves Puno in the morning, I think. You” probably need to check a few of the bus company websites (I couldn’t find anything on Bus Portal). Hi there, first of all, great website! My partner and I are planning a peru trip from Dec 2nd-5th Jan covering Lima-Paracas-Ica-Nazca-Arequipa-Cusco-Machu Picchu-Puerto Maldonado and then back to Lima. We are looking at doing a number of overnight bus trips (Nazca-Arequipa), (Arequipa-Cusco), (Cusco-Puerto Maldonado & back), (Cusco-Lima). I’ve seen in previous posts that you have said it is not necessary to pre-book bus tickets online, however, do you think it would be advisable to do so particularly the Puerto Maldonado-Cusco leg as we are planning on leaving Puerto on the 30th December? I have tried looking on busportal.pe with no success, but maybe its because its still 6 weeks before we leave? http://www.go2peru.com has timetables listed, however, not too sure as to the validity of prices-I have also read that its better to go direct to the bus companies as agents tend to mark up the prices. Thanks in advance for your help! If your schedule is relatively flexible and you don’t mind possibly staying an extra day somewhere to wait for the next bus out, then you don’t really need to book bus tickets in advance. But some of the bigger bus companies have better websites and slightly better booking systems now than they did a few years ago, so pre-booking does make sense. I’ve never liked booking ahead because I rarely know how long I’ll stay in a place, but if you’re good with trip planning then having your tickets ready and waiting should keep things rolling along smoothly. It probably makes sense to book ahead if you’re traveling on December 30, as buses could be pretty full. It looks like Bus Portal doesn’t work that far in advance, as you mentioned — I can get results for Puerto Maldonado-Cusco up until Dec 18. But booking that leg a month in advance should be more than enough. As for the prices of agents vs buying direct, I think there is very little difference in price — but that would depend on the agency, obviously. If there is a difference, it’s often no more than a few extra soles. Have you ever considered PeruHop? They have a hop-on hop-off bus system along the Lima-Paracas-Huacachina(Ica)-Nazca-Arequipa-Cusco route. HI: Great info here. Is there a bus from Paita to Chiclayo. I was told there is a bus line that does that trip; however, I am unable to find one. Thanks. Looks like ITTSA goes from Paita to Trujillo and Chimbote and vice versa. But I can’t see a stop in Chiclayo, which is odd as they’d definitely pass through Chiclayo. Might be worth checking in an ITTSA office. Otherwise just get a bus to Piura and a local bus on to Paita. Hi Antoinette. To be honest, this is the first time I’ve heard about 4M Express. And, as you say, the feedback online is definitely mixed. If you’ve got the time and want to see some things along the route, then it sounds like a decent option. Peru Hop (http://www.peruhop.com/) could be a viable alternative, but you’d have to check their schedule and work out how the overall cost stacks up against 4M. Sorry, not much help. If I find out more about 4M, I’ll let you know. Hello! I’m going to be traveling from lima to cusco on the 7th and I am trying to find the best value for a cheap price. I plan on flying back to lima after a few weeks in cusco, but have flexible timing to arrive. I am a student so I’m just trying to save money, but still want a positive experience. Any suggestions?? I want to take a bus from cusco to ica but i’ve heard that the road isn’t very safe, especially with robberies- people stopping the bus and making you give them all your valuables. Anyone had this kind of problem or heard of anything like this happening? Hi Maya. The safest option is to go the longer route via Arequipa and back up to Ica. If you go via Abancay and Nazca, there are stretches where hijackings and robberies can and do take place. Chances are you’ll be fine, but the risk is greater if you take the shorter route through Abancay. Hi, do you speak spanish? I do, yes. My Spanish isn’t perfect, but it’s more than functional! Do you know if Cruz del Sur would let me charter a bus for a tour (10 days or so)? If not, who would you recommend for that kind of service? I’ve no experience of them myself, but the company looks legitimate. Yes, we are starting in Lima. Do you now the best bus company to get to La Paz from Cuzco by any chance? Hi Jacinta. To be honest, I’m not too sure. One company that did do that route was Nuevo Continente Internacional, but a) I’m not sure if they still do and b) I’ve heard some bad things about them. Otherwise, take a bus from Cusco to Puno, then a bus from Puno to either Copacabana or La Paz (if there’s a direct option). There were two companies who did the Puno-La Paz run — Panamericano and Colectur — but I’m not too sure if they still exist (none of these smaller companies have websites). We use Oltursa, 12 hour ride from Lima to Chiclayo, we like the fact that buses are direct and do not make stops during the trip.. There are 4 drivers on 3 hour shifts, and they have a great safety record, you frequently hear about bus crashes or thieves robbing passengers. The buses are sealed and when boarding, your carryons are searched and your body get a pat down and you are video taped. For a few extra bucks you are safer (most tourist are concerned ). Oltursa is first class and does have limited range. They serve dinners and breakfast much like the airlines (good food). I only travel Oltursa, because it goes to Chiclayo or anything out of their range I will take an airline. So I’m wanting to know where they actually stop and for how long (guessing it’s just for pickup/drop off) and if I get to briefly see a few bonus places on the way all the better. Hi Nic. I’ve you buy a direct ticket from Lima to Cusco with any of those bus companies, the stops will be brief. You might stop for food at a roadside restaurant, which will give you between 30 minutes and one hour, otherwise it will be to pick up passengers at one of the terminals. Some of the stops might be interesting, but it’s probably not worth choosing a particular company because it stops more (unless you smoke, in which case it might be a good idea!). Cheers, Tony. I’m wanting to travel ( a group of 4) from Puno to La Paz in March. I have read that it is easiest to book at the bus terminal the day before. However since we will be travelling 23 Mar, the Wed before Easter & want to travel as a group feel it would be best to prebook. I am finding it difficult to determine the best company . I’m thinking Panamericano however their website is difficult to navigate and I cannot find where to book. Any tips? Sorry, looks like I’m too late to reply to this comment. For anyone else wondering about this, you could try Inka Express or Peru Hop/Bolivia Hop. Peruhop is mentioned in the comments, anyone have any experience with it? I’m planing a trip from Cuzco back to Lima, visting the south for up to 10 days and am not sure, if i should wing most of it or play it safe. The hop-on-hop-off-option seems to be a great oppurtunity, esp. since i might be on my own. And my spanish is…, to be honest, non-existent. Hi Anna. I traveled with Peru Hop last year (Cusco to Puno). It was good — a little chaotic during the boarding process, but a fun experience. And it’s great for solo travelers looking to meet other backpackers. Hey guys in 2 months I will be in Peru and I wondered how much the bus prices are?? I will enter from Bolivia via La Paz. I am thinking of going to colca canyon, machu pichu, huacachina, lima, trujillo and some beaches in the north then on to Ecuador. If anybody has knowledge or info of these routes would really appreciate it. Hi. You can check bus ticket prices for most routes on the https://busportal.pe/ website. If you want to travel from La Paz to Cusco or Puno, then you can either use a Bolivian bus company or a tourist bus service like Peru Hop/Bolivia Hop. Apart from that, you should find most of the bus trips straightforward as you’ll be on fairly major roads/routes. Tony, you are so helpful!! My two friends and I are planning a trip from Cusco, to Puno/Lake T, Arequipa/Colca, then back up to Cusco in August. I’ve never planned a trip down to every last reservation before but that is what we are doing to get the most of our 2.5 weeks and to make sure we don’t end up stranded without a place to stay..I looked on the busportal site for the dates and it said “itinerary temporarily unavailable”..is this because it is too far in advance? And if we choose to book when we’re there, do you think we can expect pretty regular service (hourly, twice a day, daily?) in between these places in such a peak time? We’re all pretty experienced travelers but South America noobs so all this talk of robberies and bus company employees running scams is a little daunting. Thanks for all of your help! Hi Ali. I think you’re probably right about the Busportal thing — it’s not listing itineraries that far in advance. I think I’ve come across that problem before. You shouldn’t have many problems traveling between Cusco, Puno and Arequipa, although the Cusco to Puno route is strangely lacking when it comes to major bus companies. A few of them do operate along the route, but otherwise you might have to use a more touristy service like 4M Express or Peru Hop (the hop-on hop-off service for backpackers). You probably won’t find hourly services, but once or twice daily for sure. It’s always worth booking bus tickets in advance when possible just in case they sell out for a particular day, but you can normally find some on the same day. Also keep an eye on the festivals potentially taking place in Puno or Cusco, because a major festival can mean bus tickets selling out quickly. Let me know if you have any more questions. Cheers, Tony. Great information! I was just wondering if you’d recommend booking a ticket for the night bus in advance? We’re 2 people travelling in September and wanna take a night bus Cusco – Arequipa and Arequipa – Ica. Later on we continue to Paracas and back to Lima but I’m not too worried of getting tickets a day or so in advance for these shorter trips. It’s a little bit difficult judging whether we’re overpaying by booking them in advance or whether we’re running the risk of the more comfortable tickets being sold out. Also, maybe not completely your expertise, but do you know if it’s better to make reservations for accommodation or just find something when we get there? Any info would be helpful! Hi Carolien. I’ve always been a last-minute kind of person with bus tickets and accommodation and I normally have very few problems. That said, it is nice knowing that you’ve already got a bus or room booked. For both Cusco to Arequipa and Arequipa to Ica, you should be OK buying tickets on the same day as departure — but it’s always better to buy tickets a day or two in advance, especially if you want a VIP/full cama seat on the bus. I don’t think you’ll be overpaying if you book them in advance, especially if you use a site like busportal. Again, with accommodation I’m happy to find a place on arrival if A) I’m arriving during the day and B) I’m not carrying too many bags or whatever. But in general, it’s much nicer to have a reservation before arriving in a new town or city, just for peace of mind. Hope that helps a little, and have a nice trip! Sorry, Tepsa was not so great in my experience/ I was not impressed with this bus company. I took a bus from Trujillo to Lima overnight. Why, on an overnight bus, are you leaving the air conditioning on all night??? I asked the worker to turn it off but they did not care and t stayed on, the buses are very cold so be ready! If you are tall (187 cm), even with the seats that recline the most (“full cama” I guess they are called), you have NO leg room so consider that if you are over 175 or 180 cm. The bus driver played his music very loud at 5:45 am when people were still sleeping. I asked him to turn it off, as it was too early, but again, they refused. Not a good bus company IMO. I had a much better experience with, I want to say, international palomino, I think it was called. They turned the heat on during the cold parts of the day, it was quiet at a reasonable hour until at least 8am and I had much more leg room. Hi Carl. Yeah, that does sound like a bad experience with Tepsa. Consistency can be a problem even within the same bus company. I’ve been on plenty of great Movil Tours buses, for example, but also one that had a roof like a sieve and was dripping water on the passengers the whole journey. Hi, Tony. I would like to know what is the best bus company to go from Puno to La Paz. Hi Rosana. It’s been a while since I’ve done the Puno to La Paz trip by bus, so I don’t have any recent first-hand recommendations. But Peru Hop/Bolivia Hop would probably be a good option, especially if you’d like to travel with other backpackers. I think there’s also a company called Titicaca International Transport, who are supposed to be good (at least, they were a few years ago). There’s also Panamericano, a local bus company that might be a little hit and miss but should get the job done. Could you please tell me how long will it take me to get from Lima’s airport to bus station? I want to travel to Cuzco overnight but I am arriving from Iquitos on the same day so I am planning in advance. THANK YOU! Also, if I missed the bus, would they reschedule me free of charge or do I need to purchase a new ticket? I am going on 1st of Dec, I am not sure if it’s better to book in advance online or just turn up at the station and see what’s available?… Thank you again! Hi Katya, you should allow at least an hour to get from the airport to the Cruz terminal. Probably best to allow two hours, just to be sure, especially if you’re arriving during rush hour. If you miss the bus, you’ll quite possibly lose your ticket. I’m not entirely sure what the Cruz del Sur policy is, but I wouldn’t be surprised if they make you buy another ticket. Probably best to book online, otherwise you might find there are no seats available when you get to the terminal. Let me know if you have any other questions (either here or via the contact form). Really useful information to know before booking travel around Peru! Why is it that Peru Hop have such high ratings for things such as safety and customer service while Cruz del Sur are not so good and they seem to be more known way of travelling? 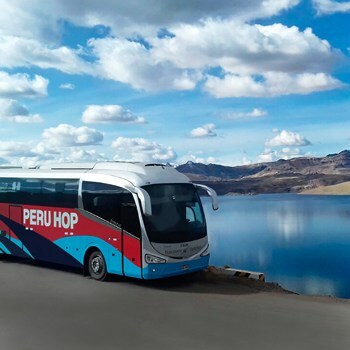 1) Safety – Peru Hop are the only company that avoid travelling through the Andes in the south of Peru which is notorious for bus hijackings and robberies. There have been several incidents in the past where buses full of people have been forced to stop due to the roads being blocked by large rocks and then the robbers forcing everyone off of the bus and taking all of their belongings. The robbers even force the passengers to take their clothes off to make sure that the travellers aren’t able to hide any of their valuable belongings. Peru Hop take the necessary precautions to ensure passenger safety by not only avoiding these roads but also taking the names and passport numbers of all passengers prior to departure to ensure that there isn’t anybody on the bus that isn’t supposed to be. In all of their destinations, they also drop off and pick up passengers to and from their accommodation to ensure there is no risk of unsafe travel in the cities. 2) Customer Service – Peru Hop have an outstanding level of customer service. They always reply to customer’s emails very quickly, no matter what time of day, whether it be regarding a question about Peru, a query about travelling or making a booking. As well of this, all of their buses have on-board bilingual guides to help passengers not only discover Peru but to also help them with any issue or question along the way! The reason Cruz del Sur have scored low is mainly because of their terrible customer service. If you go on to their TripAdvisor page, you can read many reviews of where they have handled situations with their customers horrendously. Obviously some of the issues they encountered were out of their control but they way they handled them leaves a lot to be desired. Also speaking from personal experience, anytime I have used Cruz del Sur to travel, the assistant on-board was extremely unhelpful. The buses take barely any stops on the way to allow passengers to stretch their legs, get some fresh air or buy some food. They don’t do a lot of service on the bus either of food or refreshments such as water or soft drinks which makes the journey very difficult and uncomfortable if you don’t bring a lot of things with you. I hope this helps answer your question and also with deciding who to travel with when travelling Peru! I am looking for an overnight bus from Cosco to Copacabana. But the information online is pretty outdated. Wondering if we can get any help on this. As we do not speak Spanish, it will be great if we can have everything in control. Boliviahop is not more expensive when you take into account that you are paying for comfort and safety. i went with them 4 months ago and i am so happy i did as it took away any unnecessary stress, if you are to spend a little extra on anything id highly recommend it be your transport, safety is so important when traveling around parts of south America including what type of passengers are on the bus while you travel! You are so much more relaxed and at ease sleeping on a private bus filled with other travelers than you would be traveling on a public!